After the loss of his studio and archives to bankruptcy, Carleton Watkins began work on his New Series, where upon he re-photographed the West and rebuilt and expanded his photographic archive. A commission by the Hearst Mining Company brought him to Virginia City, Nevada. Watkins also photographed mining operations near Markleeville, California and Carson City, Nevada, railroad and water projects near Donner Summit, and hydraulic mining operations further west in California’s Gold Country. While passing through Lake Tahoe he would take pictures of the resorts, as well as general lake views. He would also take portraits for the lumberjacks employed in the Tahoe Basin logging timber for the mines of the Comstock Lode. 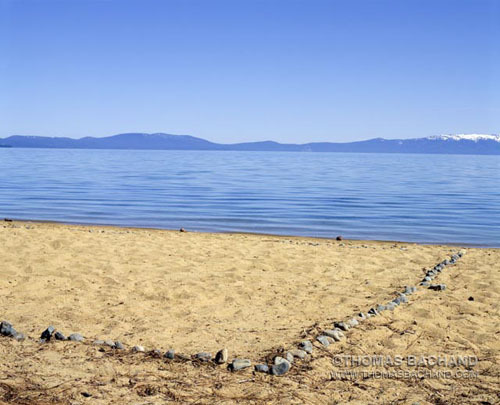 Included in Lake Tahoe: A Fragile Beauty, alongside the Twain essays are a selection of Watkins New Series Tahoe photographs provided by the Phoebe Hearst Museum of Anthropology on the UC Berkeley campus. We only had space for a small number of images in Lake Tahoe: A Fragile Beauty, yet Phoebe Hearst’s collection of 140 Watkins photographs are the basis for the museum’s photography collection. I strongly encourage readers to visit the Phoebe Hearst Museum and the Online Archive of California to see more of Watkins’ photography from the area. As one fascinated by how the land speaks to our relationship with nature and the environment, I find the photography of Virginia City and Markleeville particularly engaging. In general, I find Watkins’ work captivating. During the late-19th Century, his photography gave eastern audiences important views of a western landscape they were only able to read about, leading, ultimately, to the founding of Yosemite and other national parks. Today, these photographs offer another important first glimpse – for us. Watkins allows us to look back upon the land, exactly at the arrival of our industrial culture. The Gold Rush was the first human migration in history blessed so. It was a time not so long ago. 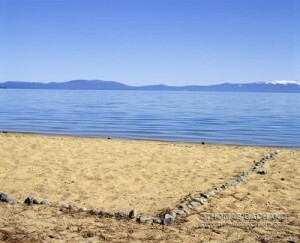 Here’s an interesting post from the Tahoe Divers Conservancy. They are alarmed at the growth they are witnessing in the shallows of Emerald Bay. 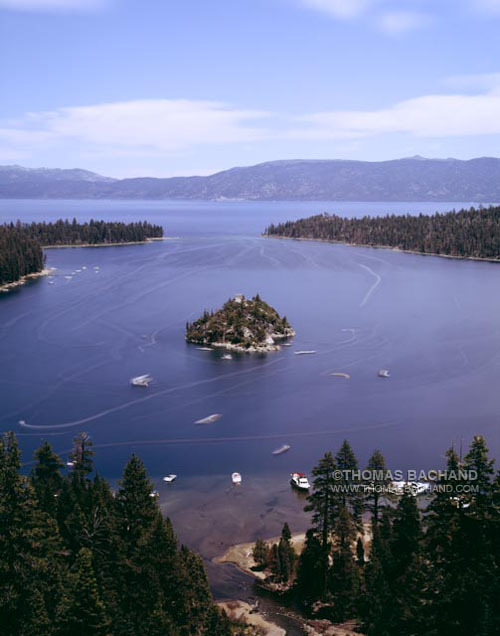 Scientists believe the growth being found in the near shore areas of Emerald Bay are the same algae found in the streams, and not the invasive species found near the marinas. Due to the warm drought conditions this year, algal growth is on the increase.